Intimidating phone calls. Hard-sell tactics. Alleged trespassing. 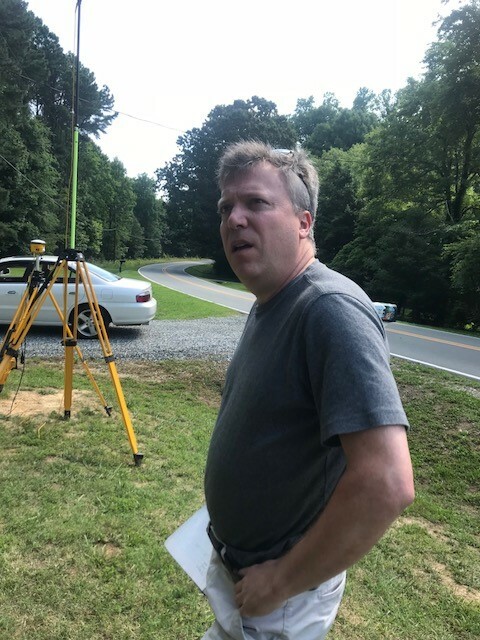 Since April, when the owners of the Mountain Valley Pipeline several property owners in Rockingham and Alamance counties have publicly shared stories of being harassed and verbally bullied by land agents for the MVP Southgate natural gas project. Yet so far, the state attorney general’s office has not responded to citizen complaints by reining in the contractors’ conduct. Laura Brewer, spokeswoman for the Department of Justice has not returned phone or email messages that Policy Watch left for her yesterday seeking comment. The project would extend the controversial Mountain Valley Pipeline, entering North Carolina just east of Eden in Rockingham County and extending southeast, ending near Graham in Alamance County. Land agents and surveyors have since swarmed the area. In April, Daniel and Kelly Bollinger, who live near Green Level, told Policy Watch that Doyle Land Services agent Darrell Dinkler had tried to mislead them about the pipeline and had also persistently called them, even at night, about accessing their land. The Bollingers denied the company any access to their 53-acre farm. Last week, Bollinger took photos of Dinkler, who was accompanying survey crews another resident’s private property. Bollinger said he was present when an Alamance County Sheriff’s Deputy ordered Dinkler and the crew to leave and remove all equipment because they didn’t have permission to be there. An Alamance County Sheriff spokesman Sgt. Mark Dockery said he had no incident reports of trespassing calls involving the pipeline crews. However, he said it is possible that deputies had been called to a location but didn’t take a report. “When TRC’s survey crew was asked to leave, the Doyle representative assisted them in packing up their equipment to expedite their departure from the premises,” Day wrote in an email. You know, I just do not understand how the government allows for all of this when it is clearly a case of landowners being swindled out of their land. All those in power have been neatly bought and paid for. America is becoming a police state and if you attempt to stop these people you will become the criminal. Yeah them that love their land and don’t want it interfered with by outsiders looking to make profits…WELL don’t vote republican…if you do then bend over and give them your land after all you voted for it. Tony D, uh the last 2 Virginia governors – Dems. In fact Virginia has only ever had 7 Repulicans governors in its history I believe. This isn’t a party thing. It’s a money thing and a ” who wants to live their pockets with money before they leave office thing”. If people would get there heads out of the sand about that we might get somewhere. Kathy S, your response is only partially correct. Unfortunately, the party of Jefferson, Madison and Mason has lost its way when it comes to property rights. The Republican party has gone from being the defender of property rights to the party promoting their erosion in favor of business interests, often out of state business interests. But it is about money. Its unfortunate, and shame really, that our government is being used as a prop for moneyed interests at the expense of the citizen property owners. Politicians and policies are bought and sold like commodities. Thank heavens these citizens are doing everything they can to defend & protect; apparently those who are assigned and paid big bucks to do so will not?! Maybe they get even more bucks from someplace besides their salaries to NOT carry out their job responsibilities? Thank you Lisa for continuing to inform us on this!